Justin P. Grose is a trial lawyer whose practice focuses on civil litigation in state and federal court. His practice also includes appellate work arguing before the appellate courts of Oklahoma, as well as the United States Tenth Circuit Court of Appeals. While in public service, his practice primarily consisted of defending state agencies and state employees involving tort claims, administrative actions, civil rights allegations, employment law, and constitutional challenges. He now represents employers in all aspects of labor and employment law. 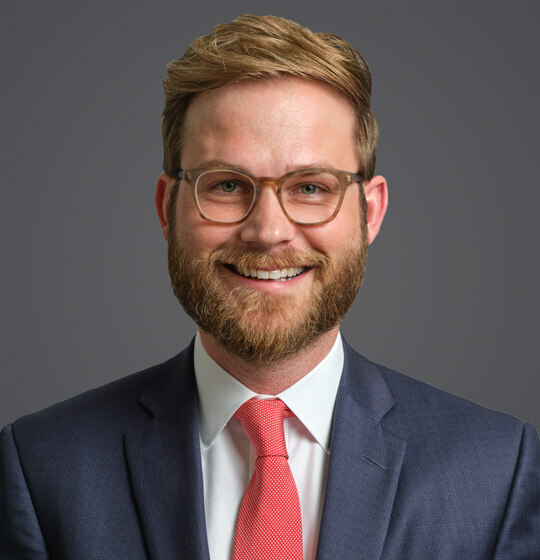 While in law school, Mr. Grose was a member of the American Indian Law Review, the ABA National Appellate Advocacy Moot Court Team, and the William E. McGee National Civil Rights Moot Court Team. For his devotion to oral advocacy and brief writing, he was inducted into The Order of Barristers. He was also a member of Phi Delta Phi, a legal honor fraternity; listed on the Dean’s Honor Roll all six semesters; and awarded an American Jurisprudence award for academic excellence in Environmental Law. Represented state agencies and state employees in employment discrimination suits. 2011 - 35 Am. Ind. L. Rev. 695 - "Time to Bury the Tomahawk Chop: An Attempt at Reconciling the Differing Viewpoints of Native Americans and Sports Fans"
May 23, 2018 - The Oklahoman - "Q&A with Justin P. Grose: High court decision validates class-action waivers in arbitration agreements"
Oklahomans voted 57 percent in favor of State Question 788, resulting in the passage of the Oklahoma Medical Marijuana Act (OMMA) on June 26, 2018. Many experts consider the new law to be one of the broadest medical marijuana laws in the United States.